HighCastle is a British online investment marketplace for private securities and other alternative investments. HighCastle enables professional investors to make investments into private companies, hedge funds, bonds, loans, property and variety of other investment opportunities. HighCastle had already been known as a successful investment firm, when most of ICO-fundraising companies was just created. Since its launch in 2016, HighCastle has started offering a wide range of investment products to professional investors globally and serve companies who are seeking equity and debt financing. HighCastle is a British online investment marketplace for private securities and other alternative investments. 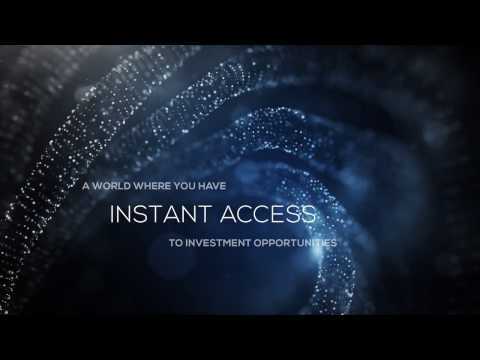 HighCastle enables professional investors to make investments into private companies, hedge funds, bonds, loans, property and variety of other investment opportunities. HighCastle`s proprietary API sources these opportunities from technology-enabled online platforms (P2P, P2B, crowdfunding platforms and other trusted channels). DLT INFRASTRUCTURE: All transactions at HighCastle primary and secondary markets are recorded on the blockchain - distributed shared registry, making investing and trading fast, transparent, and secure. TOKENISED INVESTMENTS: HighCastle’s SmartNote solution, a blockchain-based financial instrument, which combines DLT with securities-backed notes, and empowers private and public businesses to raise capital by issuing tradable tokenized securities. OPEN ARCHITECTURE: HighCastle`s proprietary API enables us to source investment opportunities from technology-enabled online platforms, investment firms and other trusted channels all over the world (like Seedrs, Property Partner etc). LIQUIDITY PLATFORM: By HighCastle solution for tokenization of private securities of real businesses and creating secondary market, we tend to achieve liquidity for private securities market, the same as liquidity was achieved earlier by the leaders of p2p lending market, now a multi-billion USD companies. LEGAL FRAMEWORK: HighCastle issues a securities-backed notes that create a legal framework for each tradeable digital tokens and ensure FCA regulated crypto fundraising by acquiring FCA license. With HighCastle SmartNotes solution companies can easily sell their security tokens, while investors can invest in HighCastle SmartNotes, which represents any underlying asset. Lack of milestone in ICO profile, and looks not very seriously at ICO crowdselling, so the score from Benchy is only 3.2! This is not a startup, just an enhancement to existing service. Risk low, but nothing new.